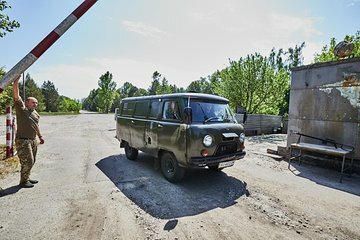 Take a step back in time and visit one of the world’s most infamous exclusion zones on this full-day retro Chernobyl tour from Kiev. Hop into your classic Soviet-era car and head into the Chernobyl exclusion zone with a guide. Explore the derelict city of Pripyat, and discover abandoned buildings including the hospital, swimming pool and schools. Along the way, gain insight into city life under Communist rule. Visit the secret Duga military radar station, and see photos of Pripyat and Chernobyl before the blast of 1986.